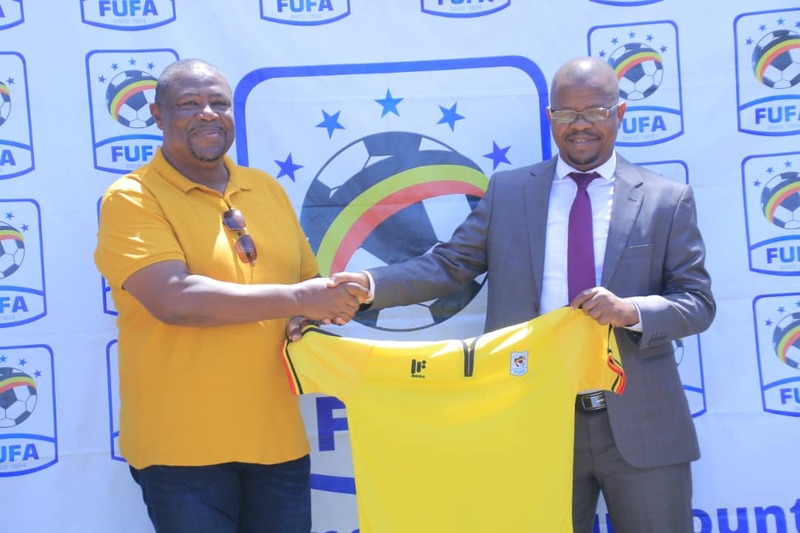 MENGO – Federation of Uganda Football Association, (FUFA) has on Wednesday unveiled the new head coach for the Uganda U17 side, the Cubs. Ghanaian Fabin Paa Kwasi Samuel is the man tasked to take charge of the Cubs for a one year period. This was during a Press conference held at FUFA house Mengo on Wednesday morning. Kwasi’s immediate job is to handle the Cubs at the upcoming Under-17 Africa Cup of Nations that is to be held in Tanzania next month. While unveiling the coach, Fufa president Eng. Moses Magogo noted that the federation settled on Kwesi basing on his track record. “We have agreed to sign Kwesi basing on his experience and record, Magogo told the media. He also added that there main goal is to play in U17 World cup and he believes Kwasi who has been head coach for the U17 Ghana National side, for 6 years will also guide Uganda to World cup. “Our motive is for the U17 to play in World cup and I believe we have the right person with us to help our dreams come true. Magogo added. While addressing the media after being unveiled, Kwasi said it is his pleasure to be in Uganda for the first time and his mission is to guide the team through AFCON in Tanzania and hopefully reach the World cup. Kwasi also added that he has worked with the youth for a long time and he hopes for the best and everyone’s cooperation. “I have worked with the youths for a long time and hope for the best but I request for everyone’s cooperation, he added. The Uganda Cubs will be heading to camp in Njeru on Sunday, and will be leaving for South Africa on the 1st of April for another camp. The team will then travel to Tanzania on the 11th of April for an MRI before the tournament kicks starts on the 14th with their first match against Angola. Uganda is in Group A alongside hosts Tanzania, Angola and Nigeria.